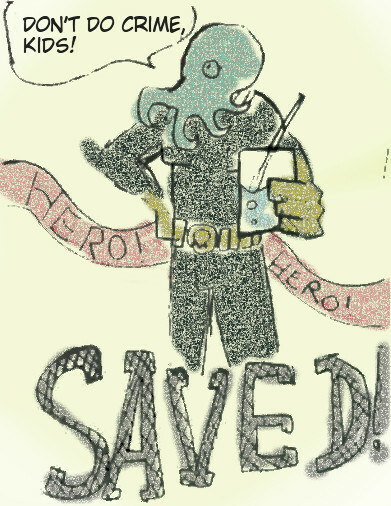 The Glass Octopus is a comic hero created by Captain Alexander Nolan and penned by many authors. It is published out of Conwell. These graphic serials often feature villains who bear slight resemblance to real world political and industrial figures with evil schemes meant to question their actions and character. Not all authors have been known to follow this, but it is a trend. A cheesy batman-esque rip-off with hilarious villains made up of technocrats and citizen parodies.